This dataset shows the multibeam survey footprint for the the vicinity of Stono Inlet, South Carolina. The Zip archive contains an ESRI shapefile. 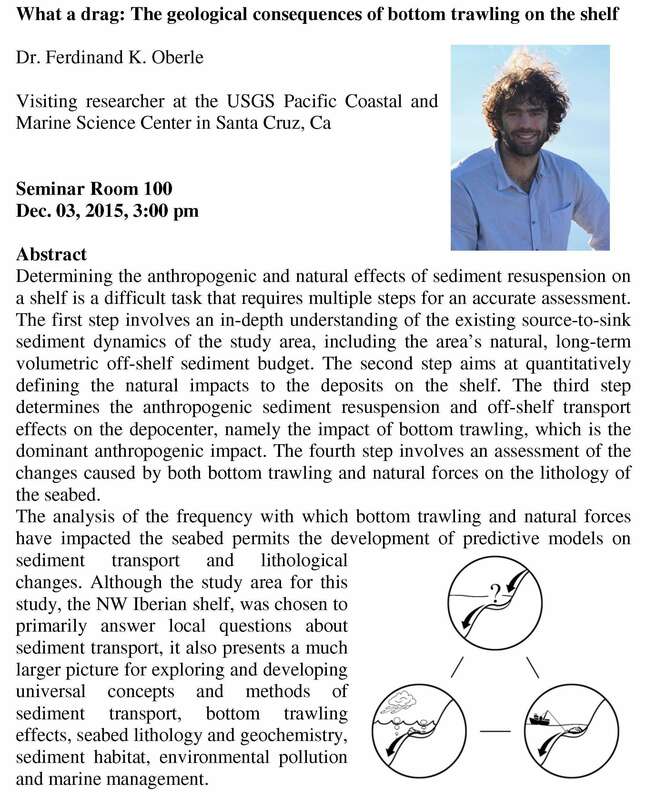 Join us this afternoon for a seminar presentation by Dr. Ferdinand K. Oberle, Visiting Researcher at the USGS Pacific Coastal and Marine Science Center in Santa Cruz, CA. Read more about Join us today for a seminar presentation! Join us this afternoon for a seminar presentation by Dr. Var Limpasuvan, Kerns Palmetto Professor of Applied Physics (CCU). 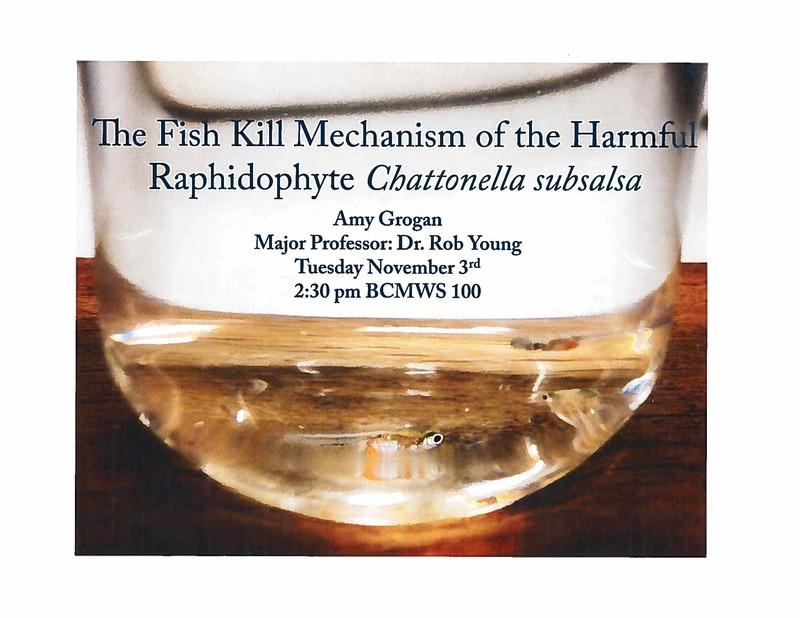 Join us this afternoon for a seminar presentation by Dr. Susan Libes, Director of the Waccamaw Watershed Academy (CCU). 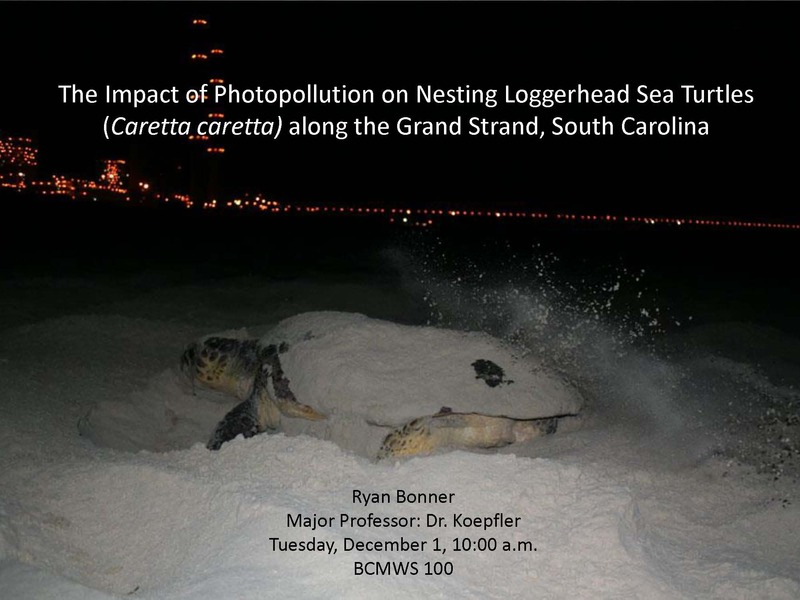 Join us this afternoon for a seminar presentation by Dr. Erin Hackett, Assistant Professor at the School of Coastal and Marine Systems Science (CCU).